After using Office 2007 as my only version of Office the last few months, I really have to take my hat off to the Office team - the move was a stroke of genius. It has not only made me significantly more productive, but it has also really made working with Office fun again. So fun in fact that it helped inspire me to write some really long tutorial posts with it shortly after installing it this summer (you know a product is good when it is so fun to use that you to stay inside during the summer and write tutorial posts on the weekends!). What has been cool to see this week are a number of rave reviews start to come in from other people who have been loving it too. If you are an MSDN subscriber, you can download your copy of Office 2007 from the MSDN download center today. It has a production license, which means you can use it for everything and anything. To learn more about the design philosophy and thought that went into the new experience, I'd also recommend checking out the great posts on Jensen Harris' blog. Jensen is the Group Program Manager of the Microsoft Office User Experience Team and does a really good job of sharing some of the philosophy and background on what they've done with this release. To help take advantage of Office 2007 from a .NET developer perspective, last week we also released an updated "VS 2005 Tools for Office" that allows you to take advantage of Office 2007 features and UI. 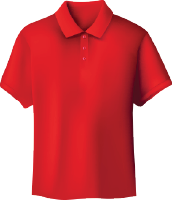 Included within it is support for the new Ribbon extensibility model. You can learn more about it and download it today here. Also make sure to check out the Visual Studio Tools for Office blog here. To help take advantage of Windows SharePoint Services 3.0 and Microsoft Office SharePoint 2007 (both of which support deep integration with Office 2007), last week we also released a new free VS 2005 Extensions for Windows SharePoint Services 3.0 download. This provides project and build support for SharePoint sites within Visual Studio 2005. Included within this is support for creating, building and debugging a Web Part within SharePoint by just hitting F5 on your project in Visual Studio (much easier than it has been in the past). You can download it here. You can buy it from Amazon today here. 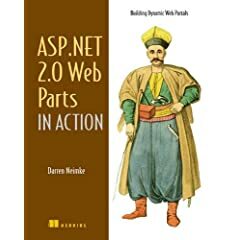 I wanted to second your recommendation of the book, "ASP.NET 2.0 Web Parts in Action". I am in the middle of it right now, and it is one of the BEST ASP.NET books to come out in a long time. Kudos to Darren Neimke! It starts off by providing one of the best data layer descriptions and code example that I've had the pleasure to read. In one chapter it lays out the concept, and then you get to see it implemented -- and WHY it was so important, back in chapter 1. When you first see it you'll be like, "oh no, another book that gets off track in too many directions," but then later when you see it in action, and its applicability to web parts, you'll be like, "Genious!" Have WSS 3.0 / MOSS 2007 actually RTMed? I haven't seen them posted anywhere yet. I tried the VS2005 extensions for WSS and it didn&#39;t installed properly on my machine (VISTA RTM+VS 2005). I had to remove it since it messed up all the templates on VS, other thing noticed that when you try to install WCF,WPF extensions (Nov CTP) you get a warning indicating a parser error in the templates(looking for Max/MinFrameworkVersion). Have you tried adding a button to the ribbon using code? Urgh. It's a WHOLE new paradigm. The VSeWSS approach makes a lot of sense. In a nutshell, it uses .NET reflection (woohoo!) to look for well-known base classes and attributes in your code, and then generates the required XML configuration files for you. For more info, check out this post.